(NaturalNews) England is attempting to embark upon the first ever clinical trial to explore the potential positive effects psilocybin-the hallucinogenic ingredient in magic mushrooms-has on depression. However, the trial, despite having the funds to commence, is being halted due to the fact that it is still illegal under federal law. In America, the situation is similar with periodic small studies showing promise, however the iron fist of the law prevents further exploration. Psilocybin mushrooms grow all over the world and have been used in religious and other rituals for thousands of years. Today, studies have shown that there are improvements in people with depression and obsessive compulsive disorder who have taken psilocybin. Brain scans have shown that the posterior cingulate cortex, a part of the brain that is hyperactive in people with depression, is significantly slowed down under the effects of psilocybin. Furthermore, the effects of the mood on psilocybin have been shown to last up to two weeks after a single treatment. This could be a huge breakthrough for severely depressed people who don't respond to other treatments. The dangers of psilocybin lie in the ignorance of the user. 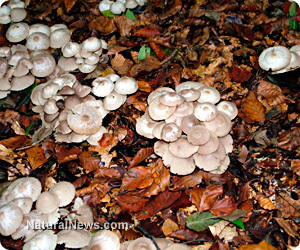 Major illness or even death can occur by ingesting the wrong type of mushrooms for example. Like other hallucinogenics, the user can also experience a "bad trip" with feelings of paranoia, anxiety, and aggression among others. However the effects of the mushroom last between four to six hours so any unpleasant effects are temporary. The substance is not addictive, and there are no long term side effects known. These negative side effects could be alleviated if taken under the care of a doctor. Antidepressants, the current treatment for people with depression, have a slew of negative side effects including and not limited to: irritability, flattened emotions, rapid or slow heartbeat, body aches, sexual dysfunction, weight gain, and suicidal thinking or ideation. Antidepressants have gotten their fair share of a bad rap in the media as many a mass shooter has been under their influence. In fact, a fairly recent study has shown that long-term antidepressant use can actually worsen depression and cause other behavioral abnormalities. It seems so simple: just allow scientists to research psilocybin for the treatment of depression. It is much safer and probably more effective than conventional antidepressants. The problem is that it remains a schedule I narcotic under federal law; it has no medical purpose (just like marijuana) to legal entities. Psilocybin is just another casualty of the war on drugs backed by Big Pharma. Under the rule of the pharmaceutical industry, natural and safe treatments will remain illegal or bastardized while poisonous pills continue to be disbursed to the population en masse.